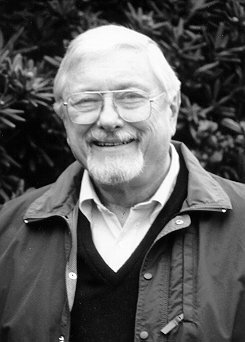 A native of Pittsburgh, Pennsylvania and a Korean War Navy veteran, Prof. Schlegel retired in 1987 from the University of California, Santa Cruz, where he had been a fellow of Merrill College and professor of anthropology and southeast Asian studies for some twenty years. He was the author of numerous books and scholarly articles in several languages, mostly concerning the Teduray rainforest people of the southern Philippines. In 1973–4, under the auspices of the Ford Foundation, Schlegel established the Social Science Research Training Center in Aceh, Sumatra, where field research methodology is taught to Indonesian provincial university social scientists. From 1976 through 1980, he was the founding chairman of the Joint Committee on Southeast Asia of the Social Science Research Council and the American Council of Learned Societies. In 2002, he was honored by the Philippine Anthropological Association for his lifetime of Philippine research. Schlegel worked with the Philippine Episcopal Church in the late ’50s and early ’60s. During that period, he founded St. Francis High School in Upi, Cotabato, the first academic high school in the area, and served as Archdeacon of Cotabato. He retired in 1992 from St. Luke’s Episcopal Church in Los Gatos, where he had been rector since 1984. In 2000, he was life professed as a member of the Third Order, Society of St. Francis. A long-time activist and advocate of ending the death penalty, in the early 2000s he worked in the effort to unionize the strawberry workers in Santa Cruz County. Schlegel is survived by his daughter-in-law, Andrea Ramos, his son-in-law, Gilbert Ramos, his grandchildren, Vanessa Ackermann and her husband Eric, and William Schlegel Jr. and his wife Jena. His son Leonard died in 1993 and his son William in 1999. His wife, Audrey Stier Schlegel, died in 2011. A memorial service will be held at St. John’s Church, Aptos, at 10:30am on Saturday, December 8th, 2018. Stu requests that in place of flowers or donations his friends go out for a good dinner and celebrate all the joy in their lives and in his.